Although all regulated industries have similar email worries, medical institutions seem to face unique challenges regarding their online presence. Discussions with patients, other medical professionals and sensitive patient records need to be kept secure while remaining available for future reference. HIPAA email compliance and eDiscovery preparedness are major considerations in the healthcare industry, further complicated by the increasing use of social media and instant messaging in the workplace. 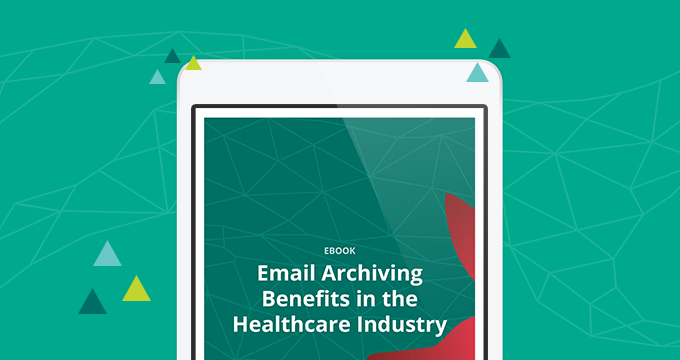 This eBook provides an overview of email-related challenges that healthcare services providers face in their everyday business operations and offers insight into how email and social media archiving technology helps to alleviate these problems.